Marvel’s greatest movie block buster in ten years has sealed the company’s place in history as the most profitable movie studio in America and probably the entire world forever! 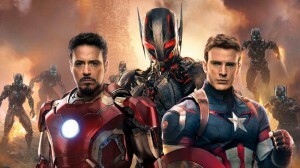 With Joss Whedon once again taking the helm in directing the darker and grittier sequel to the 2012 hit, Avengers; Avengers: Age of Ultron pits the team of Earth’s mightiest heroes against the alien A.I. sentient, Ultron – and thousands of his copies. It’s all about Marvel’s elaborate and ambitious plan for its Phase 2 movies and they have indeed played their cards well, because Marvel has not slipped yet in making movies since 2008. In the 1980s and 1990s the superhero genre’ didn’t do well due to technology constraints and very few writers, movie directors and movie studios would want to spend over $40 million just to make a Spider-Man movie. DC Comics’ Batman; however, was sold out due to a large fan base but after Joel Schumacher’s redundant and offensive take on the franchise, Warner Bros. shut down any future projects for the cape crusader. It wasn’t until they saw how Marvel sow the seeds that would make the superhero genre’ profitable again did they hire Christopher Nolan to reboot the Batman movies. 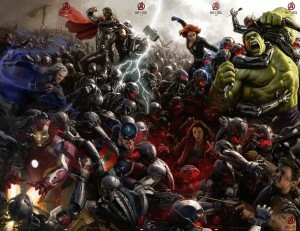 The Avengers being one of the most popular ensemble in the Marvel Universe was welcomed with arms wide open by fans and regular movie goers worldwide. 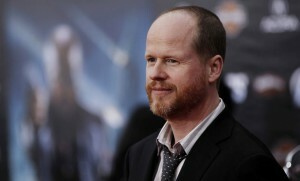 Avengers: Age of Ultron was taken from the comic book series “Ultron Imperative,” but retold differently with the creative vision of Joss Whedon, who is popular among geeks to say the least. Ultron’s hate for mankind arises from the fact that humans are irrational. They have the same biophysical structure, they share a common ancestor, whether knowingly or unknowingly they understand that they need each other to survive and yet they fight endlessly to the point of the threat of extinction with their weapons of mass destruction! Ultron sought to end mankind’s age old conflicts by doing away with pesky governments and organizations like the Avengers, Hydra and others that constantly intervene half way through the problem but never resolves it. Of course the Avengers couldn’t let him have his way no matter how politically correct he is, plus mass murder is a huge moral issue that robots – no matter how smart they are – are unable to comprehend. Much like in the comics, Ultron fashioned himself a vibranium alloy body which is the same metal that Captain America’s shield is made of. It’s practically indestructible! But a combined energy blast from Thor, Iron – Man and Vision seemingly melted it. Wait, what??? Isn’t it supposed to be, you know, un-destroyable? If Hulk pounded on Ultron, then that would be a more believable scenario, it’s not right, vibranium should be able to withstand the surface temperature of the Sun. Even Human Torch’s supernova blast couldn’t damage Cap’s shield, so why did it worked on Ultron? Plot holes! Plot Holes! But we can just sweep that under the rug, the important thing is that the Avengers delivered what we all wanted to see…destruction, kicking @$$, awesome CGI effects, funny moments in the film and teaser end credits scenes! It will leave you craving for more Marvel movies even if you haven’t finished digesting the one currently playing in theaters. The narrative, dialogue, special effects and action sequences made Avengers: Age of Ultron an epic live-action adaptation of the comic books! You will love the film from start to finish and even during the end credits scene of course. So much has improved since the first movie and it’s not just them being comfortable with each other, trusting one another but also the other aspects of the story such as the Avengers Tower, new team members being welcomed, new plot twists, new villains or possible villains in other Marvel movies tie-in and more. It is quite cool and impressive! The Quinjet is just as we all expected it to be and the best part is when the fuel enraged Hulk battles with Iron – Man’s Hulk Buster armor! Personally, I think nothing could top that, although I believe Guillermo Del Toro’s Pacific Rim fight scenes echoes it. The final battle in Sokovia is twice as exciting as the battle in New York with the Chitauris and overall I’d give this film a 9.4 rating out of 10 on my most favorite movies of all time. Yes, because it deserves it! The film was shot in multiple locations across the globe which includes South Africa, South Korea, London, Bangladesh and Italy. Naturally, not counting the cost of CGI special effects, costumes, movie set props and others, it will already cost a lot; and that’s why Marvel guaranteed Whedon $279.9 million for production budget. Avengers: Age of Ultron has surpassed Avatar and Titanic in production cost and it could well be the most expensive movie ever made; however, the hype and positive reviews for the movie overshadowed this. Go back a decade and this kind of budget would have raised a lot of eyebrows, but not anymore as it’s becoming more and more of a trend. Who knows? The third sequel called Avengers Infinity War 1 & 2 might cost even more! Six months before the film was set to be released, Marvel teased their trailers in cinemas, TV, print media and the web; so this movie was promoted very well for a target audience. It has already doubled its budget in box office returns amounting to $695.1 million and rising; and it still has a week or two more in cinemas worldwide, so it may reel in more money for the studio. Recently, Fast & Furious 7 made over $1 billion in box office sales, so Avengers: Age of Ultron is expected to do the same or gross even more. Furious 7 success is much credited to Paul Walker’s death as it got the sympathy vote of most people – including me. But that’s just my opinion…even so; no one can argue that the movie was super cool to watch! The movie opened to more than 4,000 theaters on April 22, 2015 and millions lined up to see the most anticipated movie sequel in recent memory! It garnered a lot of praise from film critics and fans alike and before it even played in theaters people are already clamoring for the third and fourth installment. Marvel’s 60+ years of entertainment both in print media, digital media and now the movies has created a large fan base globally. This proves that consistent publication of great stories – even in comic books – will essentially create a cult. The importance of which is more than just making millions or billions of dollars, but giving people a chance to experience something magical…something beyond our, sometimes, boring reality. Ultrons body was not vibranium, Visions body was using it combined with organic material. Vision was going to be his new body. That is why they could melt him. The vibranium was used to build the Vision’s body not an Ultron. No plot hole.